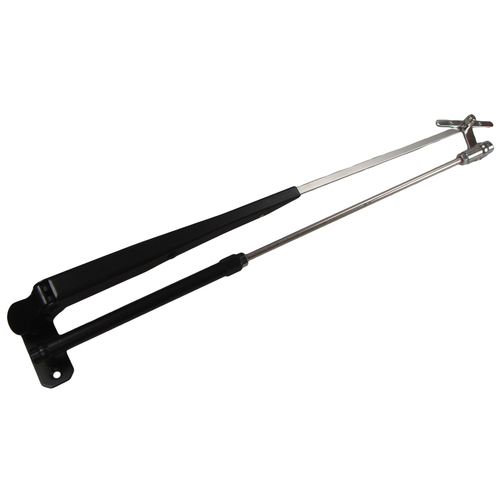 Marine grade AFi Deluxe adustable pantograph wiper arm with 'wide slide clip' wiper blade connection for keeping wiper blades upright and parallel with the boat windscreen. These marine grade AFi Deluxe pantograph wiper arms provide a away of keeping wiper blades upright and parallel with the boat windscreen. 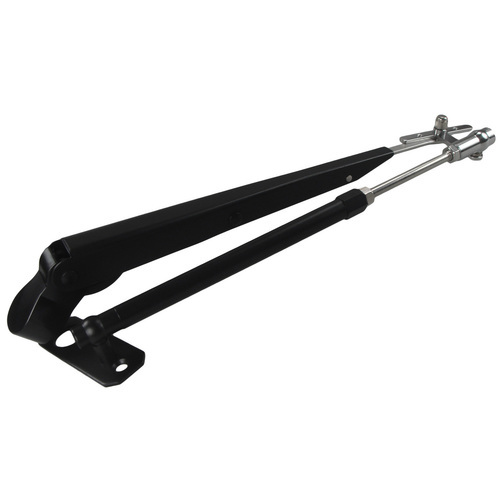 Made from robust marine grade, powder coated stainless steel these boat pantograph wiper arms work on both flat and curved windscreens. 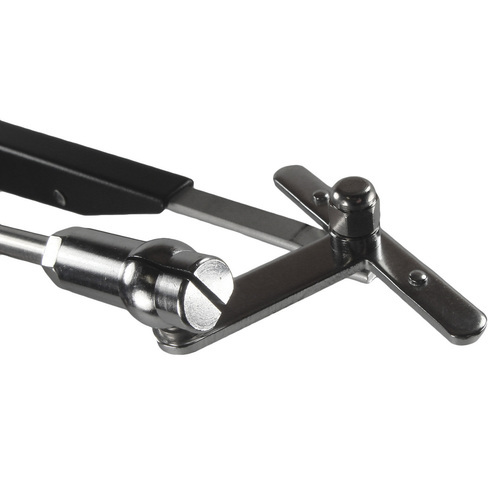 These marine windscreen pantographic wiper arms are constructed with double wiper arms connected on a pivoted wiper blade connection at one end that is designed to accept wiper blades with a female 'wide slide clip' connection of approximately 7mm. The male 'wide slide clip' connection on these wiper arms is approximately 7mm wide. Each pantograph features two wiper blade slide clip ends as it is interchangeable for each side of the windscreen. 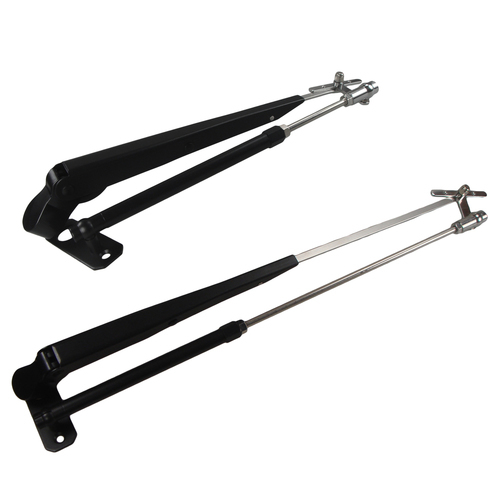 Each pantograph arm is extendable by way of a simple slide mechanism on the wiper arm itself and a threaded bar with locking nuts on the support arm. The support arm can be placed on to a wiper motor shaft on either side (depending on the side of operation) and the wiper arm can then be attached to the wiper motor shaft. It is designed to fit wiper motors with a shaft diameter of approximately 14mm. Each of the wiper arms incorporates a heavy spring at the arm elbow which puts significant pressure on to the window, ensuring the wiper blade works appropriately and a substantial locking mechanism to ensure the arm length is held in the right place at all times. There is also a convenient off screen holding position which is useful for cleaning the window or for replacing wiper blades whilst the arm is in location - much like car wiper arms.